My 7 year old daughter wanted to make a gift for a friend of ours who has just had an operation and is resting at home. 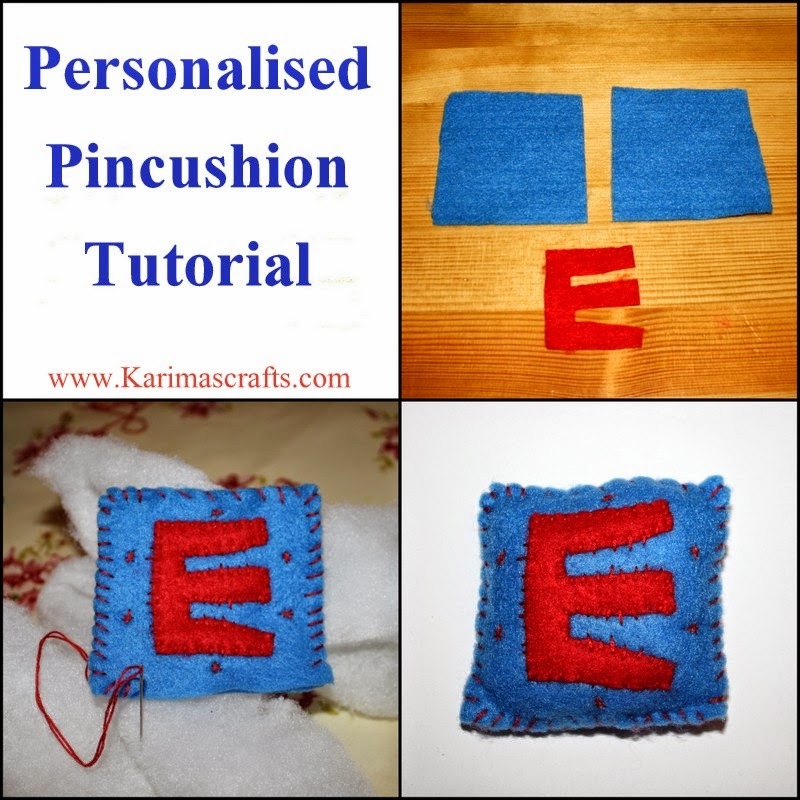 She decided on a pincushion and then decided to personalise it with the letter E. We chose a simple square cushion design as this would be the most easiest and quickest for my daughter to make! A needle and some embroidery thread. Step 2: Cut out the required letter, making sure it is smaller so that it fits inside the square shape with some spare space. Step 3: Stitch the letter onto one of the squares. You could make little star designs like my daughter has done too. Step 4: Place the other square piece underneath and then stitch around three sides attaching the two pieces together. Step 5: Place some stuffing into the cushion. Step 6: Then stitch the last side of the cushion making sure the end id#s fastened securely. My other daughter also wanted to make a present for our friend, she designed a lovely vanilla candle. We wrapped up all the presents including a handmade card and took it around to her house today! That is so cute! I love pincushions, especially handcrafted ones. Ma sha Allah, your daughter did an awesome job, your friend is going to be thrilled!